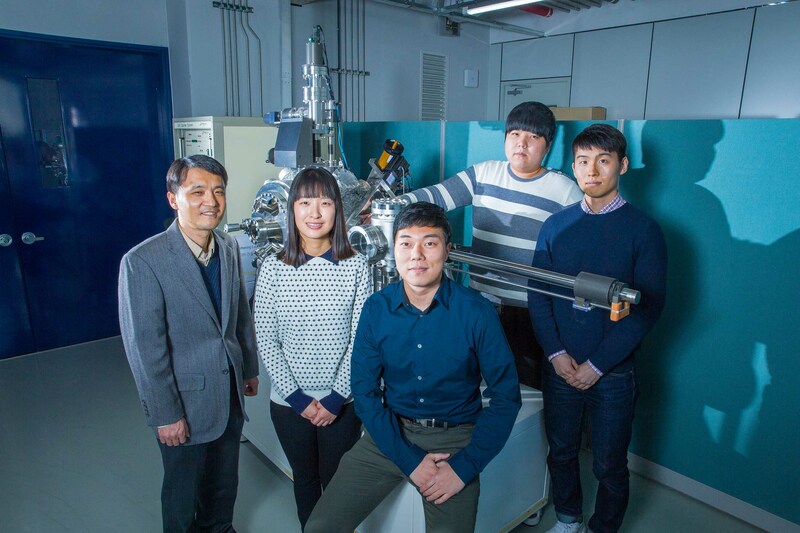 Professor Kibog Park (left) and his team with the IPE measurement system in the background. 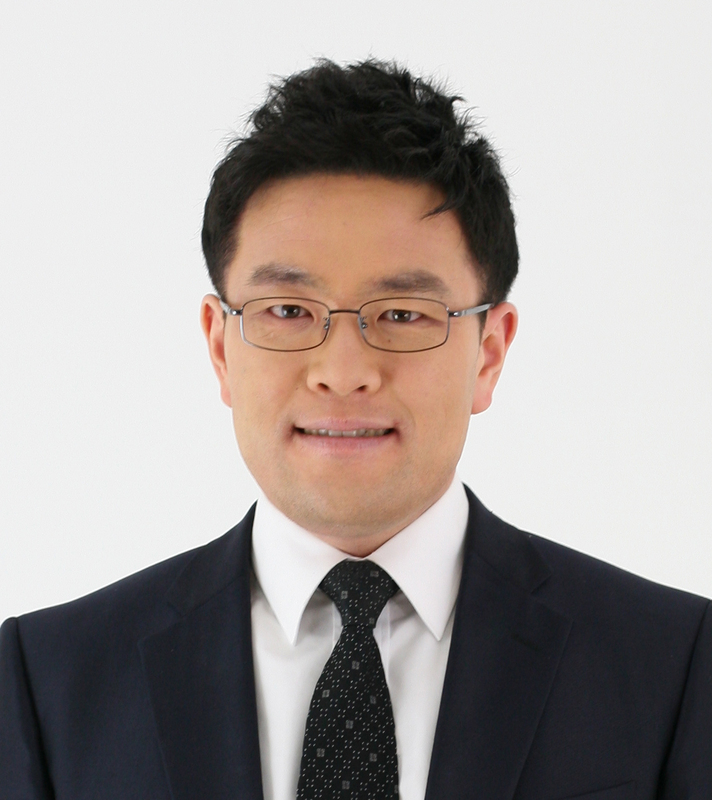 From left are Professor Park, Gahyun Choi, Hoon Hahn Yoon, Junhyung Kim, and Sungchul Jung. Their findings have been published in the January issue of Nano Letters. A team of researchers, affiliated with UNIST has created a new technique that greatly enhances the performance of Schottky Diodes (metal-semiconductor junction) used in electronic devices. 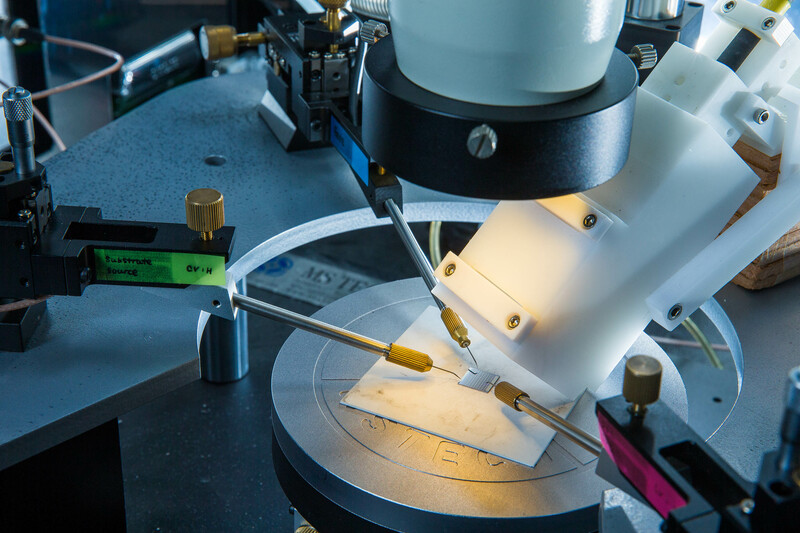 Their research findings have attracted considerable attention within the scientific community by solving the problem of metal-semiconductor, which had remained unsolved for almost 50 years. 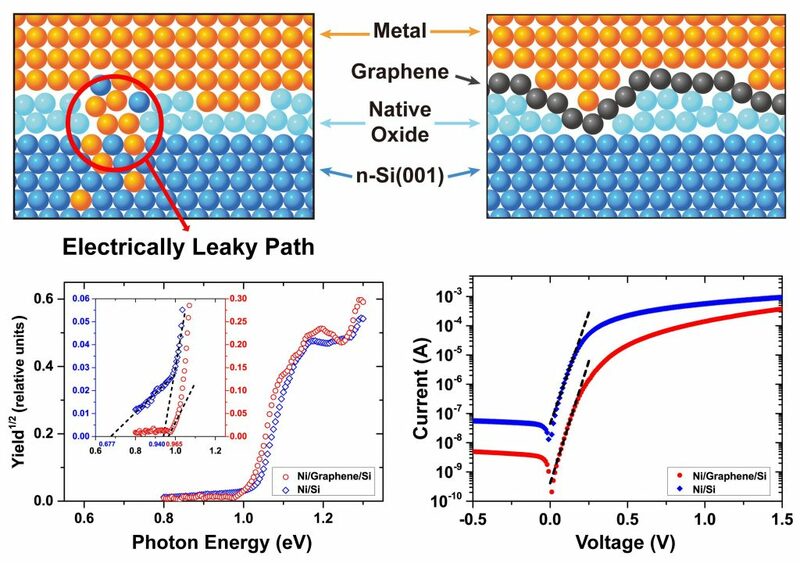 As described in the January issue of Nano Letters, the researchers have created a new type of diode with a graphene insertion layer sandwiched between metal and semiconductor. 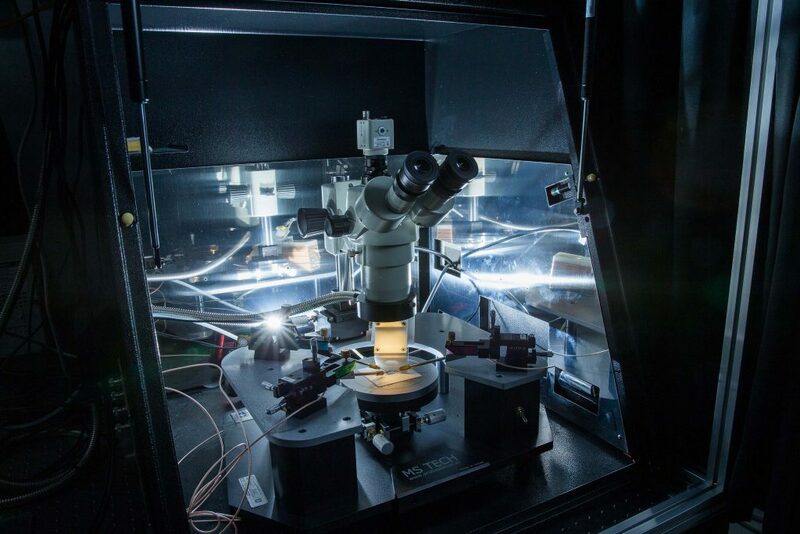 This new technique is expected to significantly contribute to resolving the long-term issue in the semiconductor industry. The Schottky diode is one of the oldest and most representative semiconductor devices, formed by the junction of a semiconductor with a metal. However, it has been impossible to produce an ideal diode, as the leakage current rapidly increases due to the unexpected and random atomic intermixing along the interface between two materials. The schematic view of internal photoemission (IPE) measurements on metal/n-Si(001) junctions with Ni, Pt, and Ti electrodes for with and without a graphene insertion layer. 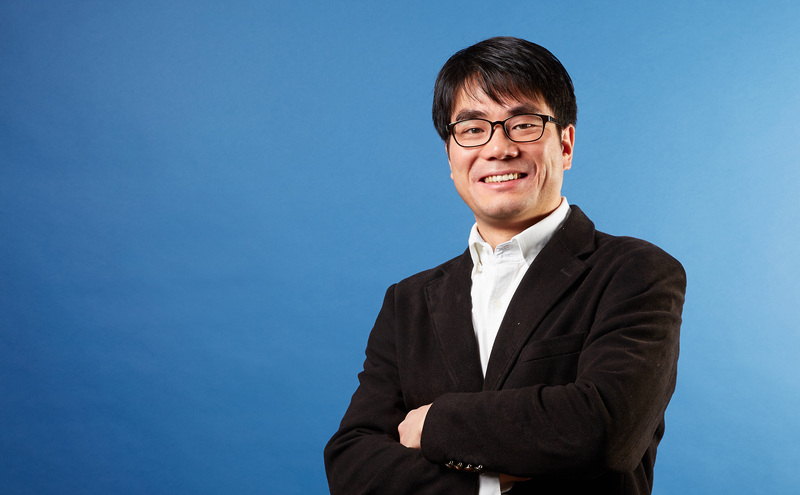 In the study, Professor Kibog Park of Natural Science solved this problem by inserting a graphene layer at the metal-semiconductor interface. The results indicated that, due to the inserted graphene consists of one layer of carbon atoms, the phenomenon of intermixing of atoms almost disappears and the operating characteristics matches well with the theoretical predictions. 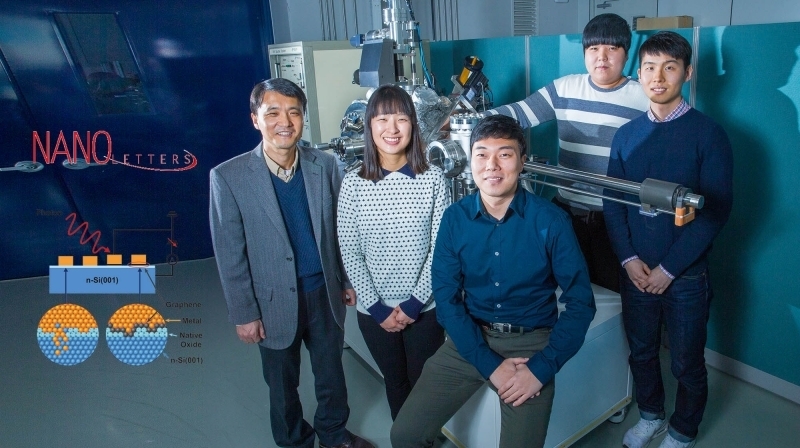 The study has also confirmed the the theoretical prediction that “In the case of silicon semiconductors, the electrical properties of the Schottky junction hardly change regardless of the type of metal,” according to Hoon Hahn Yoon (Combined M.S./Ph.D. student of Natural Science), the first author of the study. 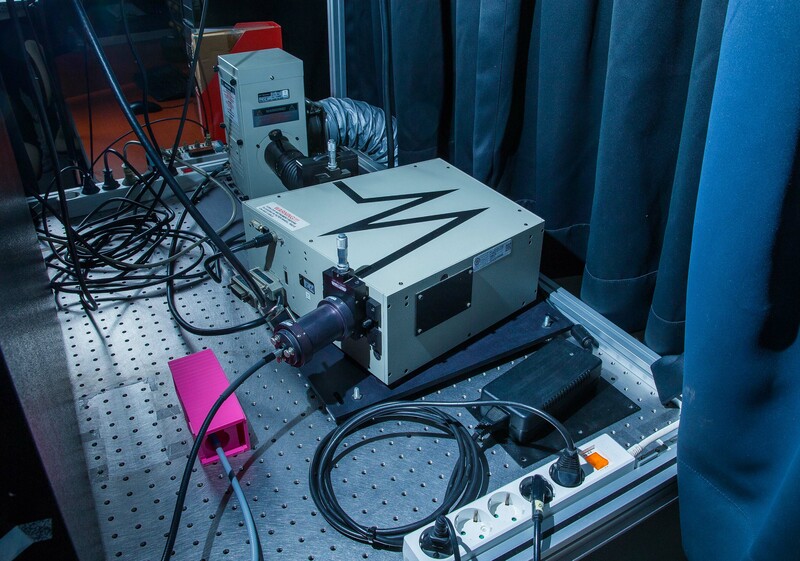 Shown above is the Internal Photoemission (IPE) Measurement System, developed by Hoon Hahn Yoon, combined M.S./Ph.D. student of Natural Science at UNIST. Hoon Hahn Yoon et al., “Strong Fermi-Level Pinning at Metal/n-Si(001) Interface Ensured by Forming an Intact Schottky Contact with a Graphene Insertion Layer,” Nano Letters, (2017).